Josh Brown, former Executive Chef of bouchon Santa Barbara and opening Executive Chef of Seagrass restaurant in Santa Barbara is a graduate of the culinary program at Santa Barbara City College. Specialties include extensive french technique with a focus on healthy, local, and sustainable food production. Food is fun!...but, for many people it can be a bit intimidating to prepare. Chef Josh has created services that make the preparation and serving of food a joyful experience. With his charming personality and ability to put you at ease, he is able to demystify the task of creating beautiful and delicious food; while having a great deal of fun. A twelve-year restaurant veteran, Chef Josh Brown was born and raised in Northern California. At seventeen he began cooking full-time and graduated the School of Culinary Arts at Santa Barbara City College in 2000. With a passion for cooking, Josh went to work at some of the finer restaurants in Santa Barbara. 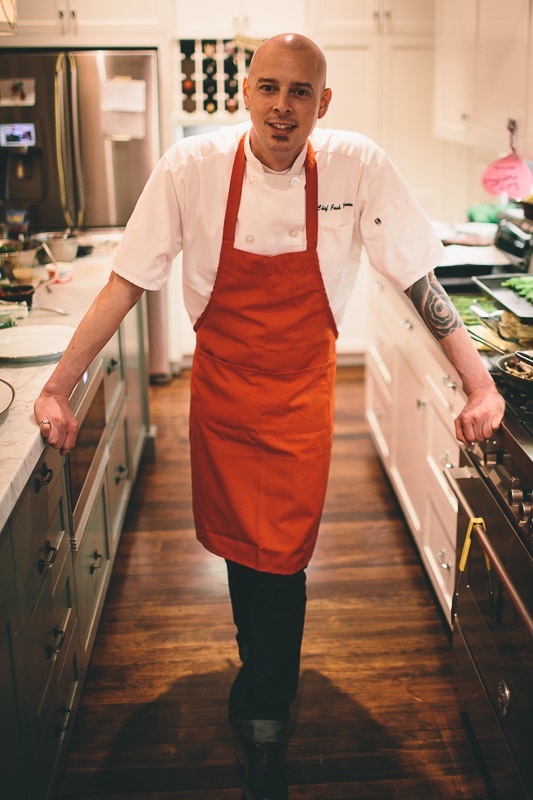 Contact Chef Josh to set up your next party or host a cooking event in your home.